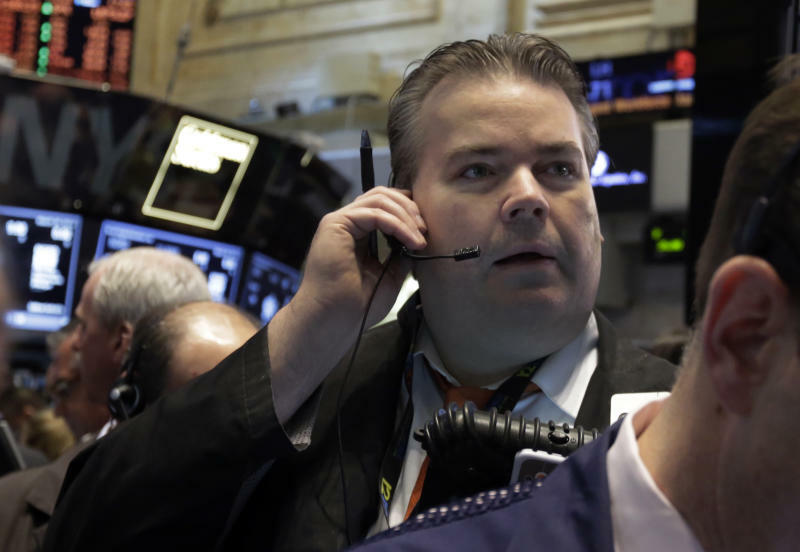 NEW YORK (AP) — Stocks edged higher in midday trading Wednesday after a private survey showed that U.S. companies increased hiring at a rapid pace. The report is the latest sign that the economy is strengthening after an unusually harsh winter. KEEPING SCORE: The Standard & Poor's 500 rose three points, or 0.2 percent, to 1,889 as of noon Eastern time. The index is at an all-time high. The Dow Jones industrial average gained 18 points, or 0.1 percent, to 16,550. The Nasdaq composite rose seven points, or 0.2 percent, to 4,275. NOW HIRING: A private survey showed that U.S. companies increased hiring at a rapid pace last month. Payroll processer ADP said private employers added 191,000 jobs in March. ADP also revised February's job creation up to 153,000 from the 139,000 figure reported earlier. The report comes ahead of the government's monthly jobs report, scheduled to be released on Friday. MANUFACTURING STRENGTH: There was more encouraging news on manufacturing Wednesday as the Commerce Department reported that orders to U.S. factories rose 1.6 percent in February, the most in five months. On Tuesday the S&P 500 closed at a record high after the Institute for Supply Management said its manufacturing index rose in March. SLUMPING ENROLLMENT: Apollo education slumped $2.82, or 8 percent, to $32.36 after the company reported revenue that fell short of investor's expectations. The company said new student enrollment at its University of Phoenix fell drank 16.5 percent. HEALING POWER: MannKind soared $3.03, or 75.6 percent, to $7.06 after FDA advisers voted unanimously to recommend approval of the drug Afrezza, a fast-acting insulin, for patients with the most common form of diabetes. MannKind has no products on the market and lost more than $191 million last year. TITANS OF INDUSTRY: Industrial companies were among the leading gainers in the S&P 500 index on Tuesday. The sector has gained 3 percent over the last week, as signs have emerged that manufacturing is strengthening. That makes it the second-best performer of the 10 industry groups that make up the S&P 500. "The market is confirming what we're starting to see in the numbers, which is that we're going to get a bit of a lift," said Liz Ann Sonders, chief investment strategist at Charles Schwab. BONDS AND COMMODITIES: Government bonds fell after the ADP report. The yield on the 10-year Treasury note climbed to 2.80 percent from 2.75 percent. The price of oil fell 64 cents, or 0.6 percent, to $99.10 a barrel. Gold rose $12.10, or 0.9 percent, to $1,292 an ounce.